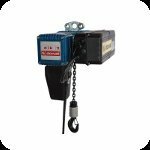 Chain & Rope Suppliers Ltd Dublin are the premier suppliers of Hoists in Ireland, our range is huge by any standards, including wire rope manual hoists, manual chain hoists, manual lever hoists, 110 volt electric wire rope hoists, 110 volt electric scaffold hoists, 110 volt electric wire rope hoists, 110 volt electric chain hoists, 220 volt electric wire rope hoists, 220 volt electric chain hoists, 400 volt electric wire rope hoists, 400 volt electric chain hoists, by calling any of our sales team we can discuss your requirements to assist in providing the right unit for the job in hand. From our Dublin Depot we can provide hoists for sale or hire and all our units are fully tested and certified. An important part of our service is the repair, testing and certification of hoists, lifting equipment and lifting gear. 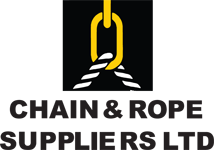 Using our state of the art test facilities Chain & Rope Suppliers Ltd Dublin play a vital role in the provision of safety for industries such as recovery and winch, construction, industrial, marine, engineering, pharmaceutical, food, agriculture and leisure. Our hoists and hoisting solutions are sometimes bespoke, so please feel free to contact us to ensure you get the best advice from our lifting equipment and lifting gear specialists.